Barbara Desanzo, Collier Resource Center Client Advocate, has been with the organization since day one. “What many of us do with relative ease, is an insurmountable obstacle for others,” says Barbara. And that is what drives her in this advocacy role. Her love of research and a genuine desire to improve the quality of life for others is what gives her meaning and purpose. CRC isn’t the first volunteer experience for Barbara. 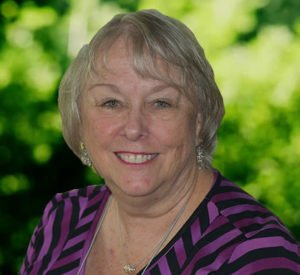 Some of the places she has given her time, talent and treasure include Naples Orchid Society, Collier County Extension Service, American Heart Association, Collier County Sheriff’s Office, Supervisor of Elections Office (for 28 years), Community Foundation of Collier County, Collier Building Industry Association and George School. The diverse range of volunteer jobs Barbara held at these various organizations included teaching women financial literacy, assisting with the Heart Ball, working in the Fugitive Warrant Identification program, youth chaperoning, reviewing curriculum and campus master plan, transcribing 911 tapes and supervising a call center, as well as serving on many advisory committees. And she’s a 25-gallon-plus blood donor. If you want to get something done, ask a busy person. I’d say Barbara is the person to ask.